John Wilson [1772-1856], born in Kirkoswald (Cumberland), was a nephew of Kenneth Francis Mackenzie (of the Redcastle Mackenzies), the son of his sister Rose, and managed Mackenzie's plantation Lusignan in Demerara [PROB 11/1789/215 Will of Kenneth Francis Mackenzie; NAS GD46/17/36 James Baillie Fraser to Lord Seaforth 14 Feb 1814]. He was for many years a resident of Nickerie in Surinam before moving to Demerara [Scottish will: SC70/1/92], where he was attorney and manager of a number of plantation for a variety of other owners: Eendraght, Mon Repos and Good Hope, as an executor of the will of Joseph Hamer's (1800); and New Orange Nassau from 1807 [Reports of Cases Argued and Determined in the High Court of Chancery, Martin v Martin]. Wilson did business with John Gladstone of Liverpool from about 1807, or earlier, and in 1819 returned to England to become a partner with him in John Gladstone, Grant & Wilson. He left the partnership in 1829. [The Gladstones: a family biography, 1764-1851, S. G. Checkland (CUP, 1971)]. 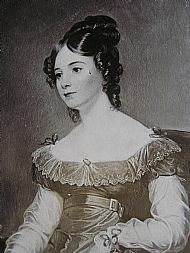 Wilson's daughter Elizabeth (Eliza) married Gladstone's nephew, Thomas Ogilvie. 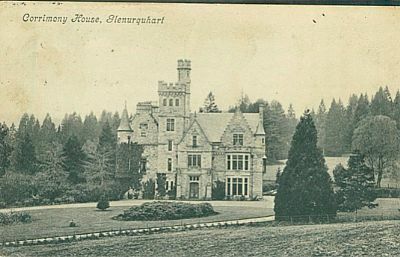 Ogilvie bought the Corrimony estate in Inverness-shire in 1835 and build a new mansion house with extensive landscaped gounds. The house was modified and extended c.1880. Eliza died in 1845 in St Helier, Jersey.